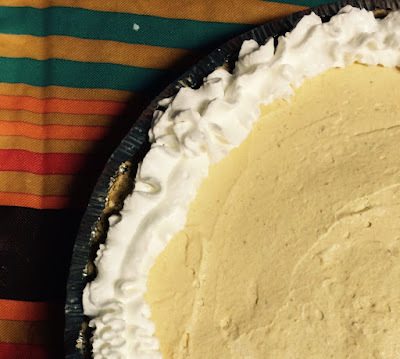 If you've been on pinterest lately, you've probably seen a post about a pumpkin silk pie. 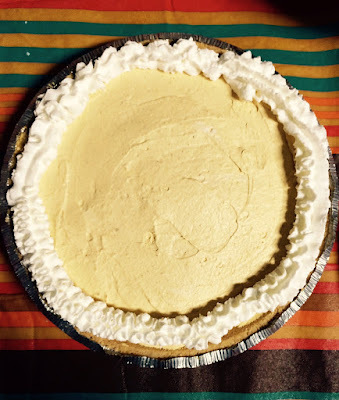 Since I normally put myself in charge of pumpkin pie, I decided to make two of these pies, but found a few changes to the recipe what it taste more like pumpkin, and less like Cool Whip. 1. In a mixing bowl, beat the softened cream cheese until it is light and fluffy. 2. Add the powdered sugar, pumpkin, vanilla and pumpkin pie spice. Beat until smooth. 3. Fold in the container of whipped topping, mixing in completely. 4. Pour mixture into pie crust, spreading evenly. 5. Place in the fridge for at least four hours. Alternatively, you can put in the freezer and remove one hour before serving to let it thaw. 6. Add whipped cream if desired. I have to say, this was a crowd pleaser. It was almost like a cheesecake, but much lighter. It was super easy to make, and if you are doing it for a party you can make it days beforehand. Just remove it from the freezer one hour before serving. Enjoy!